Steel Vengeance was formed in 1983 in Michigan. 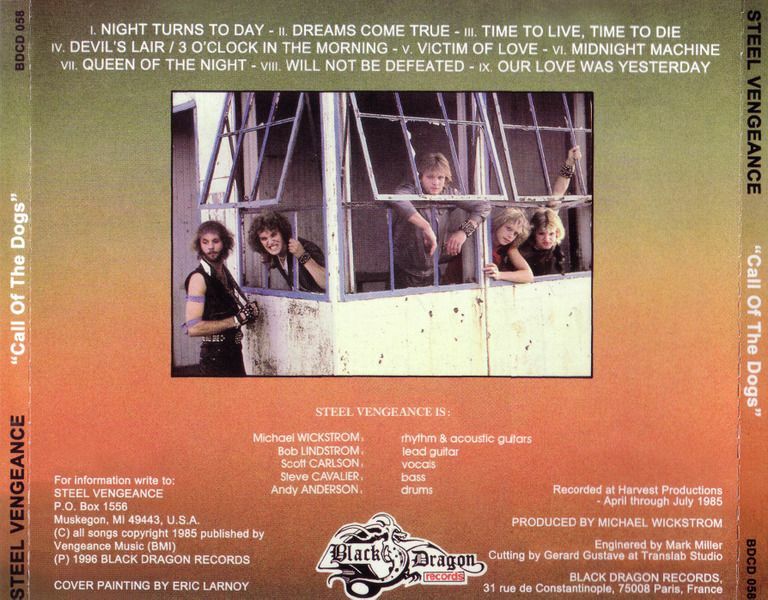 "Steel Vengeance" was formed in the early 80s by Guitarist / Producer Michael Wickstrom and is in the hard rock and heavy metal genre similar to Judas Priest and Iron Maiden. The band has had numerous accolades throughout the 80’s such as beating out KISS, Twisted Sister, and various other bands for the highly-coveted “Album of the Month” from France’s Enfer Magazine and numerous other magazine awards and heavy European radio play.The band's follow-up release "Second Offense" scored lots of acclaim as did their third release "Prisoners". In the 90s the band had a line-up change and relocated to Los Angeles and released their fourth "Never Lettin' Go" and fifth album "Live Among the Dead".Currently Metal Mind Productions and Psychedelic Records are re-mastering and re-releasing the band's first three albums. The band is currently recording a new album in Los Angeles, California USA. In May of 2008 a greatest hits album was released on ITUNES entitled “Steel Vengeance - The Collection”. 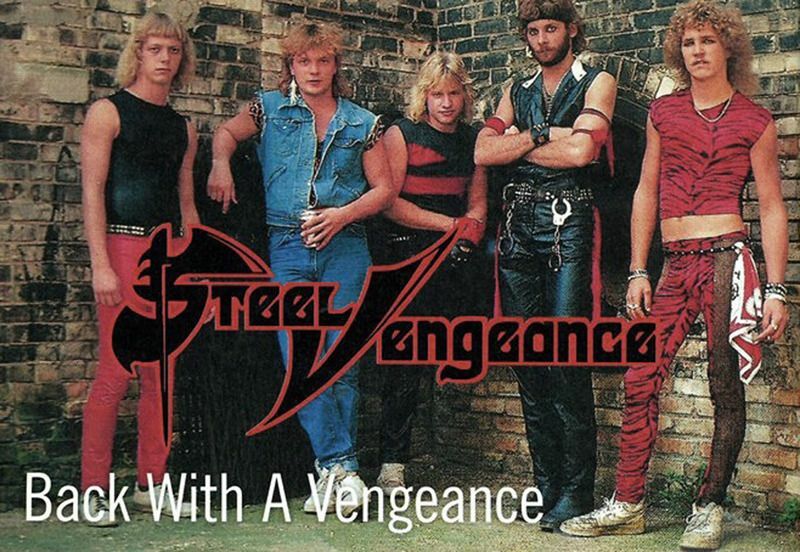 Steel Vengeance is in the heavy metal genre similar to Judas Priest and Iron Maiden and they have had numerous accolades throughout the 1980’s such as beating out KISS, Twisted Sister and various other bands for the highly-coveted “Album of the Month” from France’s Enfer Magazine and numerous other magazine awards and heavy European radio play. 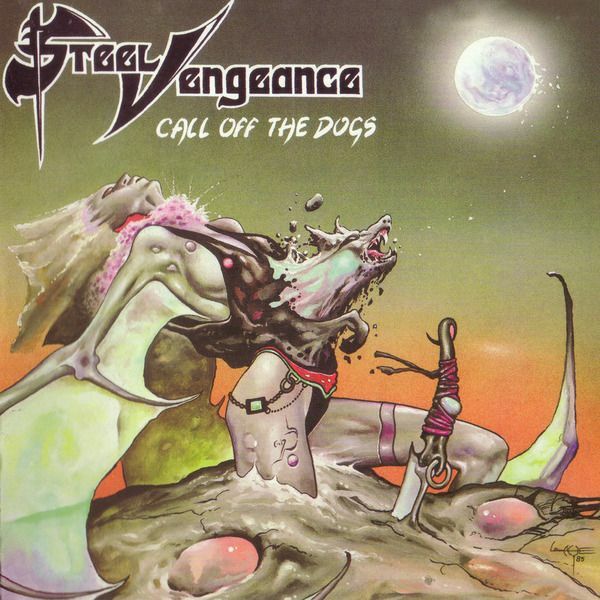 "Call Of The Dogs" can be considered as sort of a commercialized Metal album continuing the Hair Metal madness of those colourful days but with numerous intelligent hooks that kept its flow as forthright as it should but a bit over the top. Other than the album's crunchy sound that just captivated my ears and brains while recapping some of the greatest moments of that inspiring decade, the band kept a kind of stability within its material like a walking in a straight line. Songs like "Victim of Love", "Time to Live, Time to Die", "3 O' Clock In The Morning" and its prevalent brother "Devil's Lair"are right in your face tracks smothered with soaring vocals that seemed a bit Glamish at various points, haunting riffs, basic but charming rhythm sections and traditional structured patterns. However, though I am a fan of the straightforward slaps, I took pleasure in the emotive, classic oriented ballads as "Our Love Was Yesterday"and "Dreams Come True" where the band's inventive precision in assembling a power ballad is widely felt. The bonus featured demo "Never Letting Go", which was recorded a little after the album was released. This track has everything a hitter can offer such as amazing riffing, basic but catchy, enjoyable chorus. Without being too creative, STEEL VENGEANCE sealed a great album and paved themselves the road ahead. 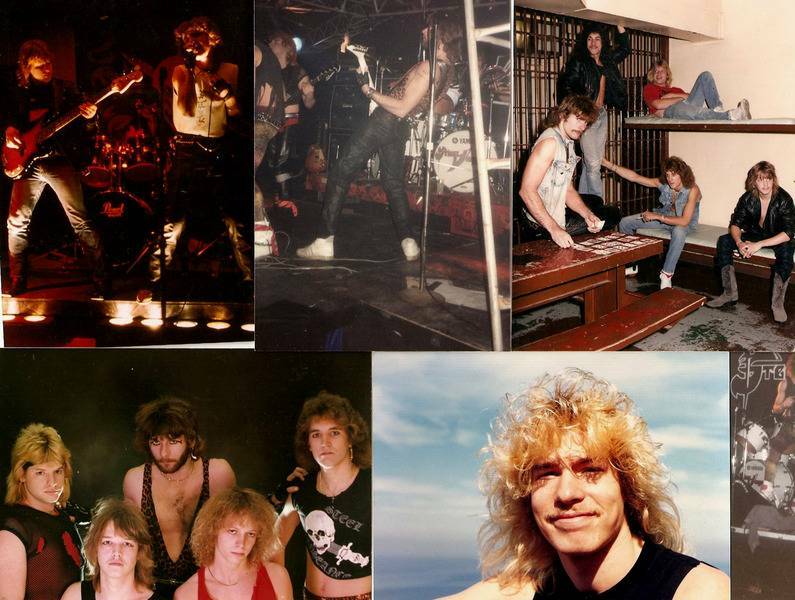 Prisoners album from 1988 is release from this Michigan heavy metal group who's traditional style is inspired by bands like Iron Maiden and Judas Priest. U.S. pressing on the Giant/Dutch East label.This American band was formed in the early 80's by the guitarist and producer Michael Wickstrom. 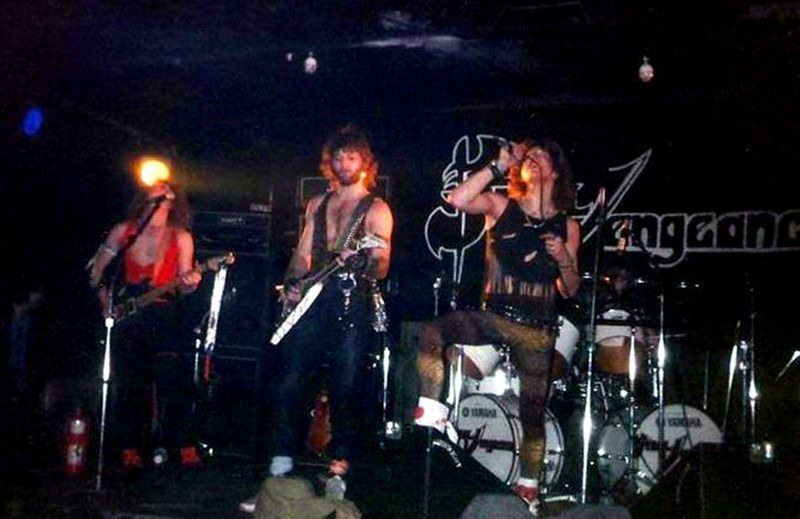 The band is in the hard rock and heavy metal genre and most often is compared to Judas Priest and Iron Maiden. The band has had numerous accolades throughout the 80's such as beating out KISS, Twisted Sister, and various other bands for the highly-coveted ""Album of the Month"" from France's Enfer Magazine and numerous other magazine awards.The material is remastered using tube technology.Limited digipak edition includes a bonus track.